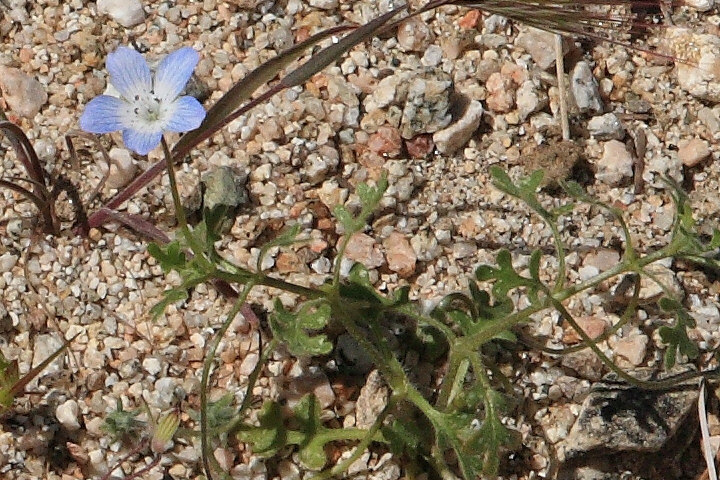 Desert Pines is a small, 100-acre reserve in the far northwest of Los Angeles County, on the edge of the Mojave Desert, immediately north of the Liebre Mountains, and several miles west of the Antelope Valley California Poppy Reserve. 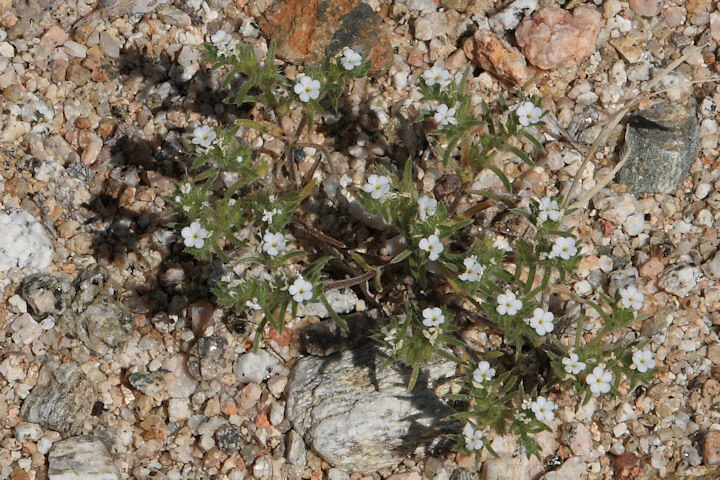 It has the distinction of having gray pines from the mountain slopes interfacing with Joshua trees on the desert floor. 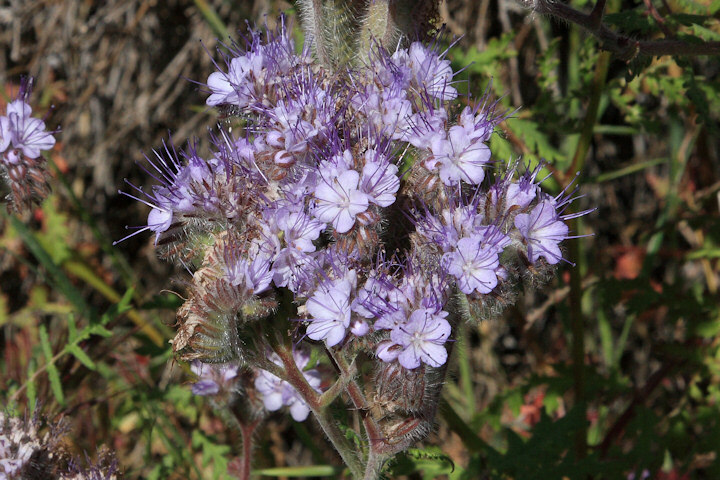 The diversity of flora is greater than for any other of the Los Angeles County wildlife reserves. 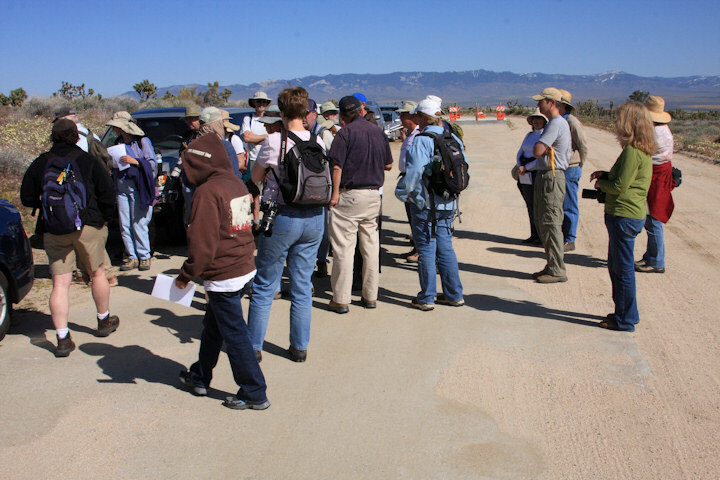 All of the photos here are from an outing of our CNPS chapter to Desert Pines in April 24, 2010, led by Mickey Long, who has a longstanding interest in keeping track of the flora and fauna of the reserve. Getting to Desert Pines is not so straightforward, requiring knowledge of the appropriate back roads, and it has no facilities, not even for parking. It certainly is a gem in a place where few untouched areas remain.